RTVV is the regional public broadcaster for Valencia, a coastal area in western Spain with about five million inhabitants. Last week, it unveiled a new logo, designed by an in-house team. It is due to launch in October. RTVV's radio and television networks are branded as Nou, which is the word for both "nine" and "new" in Catalan. Television channels are branded "Canal Nou", the primary radio network is "Radio Nou". It appears this rebrand exercise the "Nou" brand to the corporate level, removing the numeral 9. The new blue logo is an abstract rendition of the name made up of triangles. The blue colour refers to the Mediterranean Sea and can also be seen as glass, a metaphor for transparency. Opera Australia is Australia's primary opera company, performing at the famed Sydney Opera House as well as other venues. This past August, it introduced a new visual identity, created by Interbrand Sydney. Interbrand summarised the brand as "Setting Opera Free", opening up opera to everyone. This is reflected in a dynamic logo that "opens up". It can be extended into the full name, abbreviated to "Opera" or be collapsed as the abbreviation OA. They also worked on other parts of Opera Australia's visual communication, including imagery. Vertical lines, inspired by musical notation, are used in many applications. Gulli a French national television channel dedicated to children's programmes, the only national free-to-air channel with content for this large audience. Recently, it was given a new look from French broadcast design agency Gédéon to reflect a focus on 4 to 10 year olds. The new package is more fast-paced, reflecting a "more explosive, joyful, crazy channel". The green logo, largely unchanged, is turned into a ball that jumps around on screen. The American high-performance coatings producer Axalta Coating Systems was spun off from DuPont earlier this year. Its visual identity was featured here when it was revealed back in June. This week the company revealed a new brand name for its automotive refinish systems, formerly called DuPont Refinish. They will now be known as Cromax, eleveating what used to be a product name to an umbrella brand. 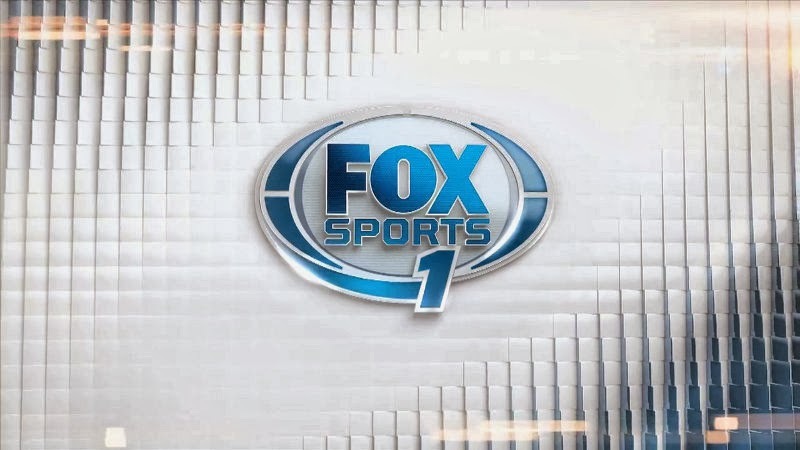 A month ago, American sports television gained a new player when 21st Century Fox relaunched its racing channel Speed as Fox Sports 1, a new general sports network. At the same time, adventure sports network Fuse was also relaunched as Fox Sports 2. The on-air graphics for this new channel were created by Loyalkaspar. They set out to "harness all the expertise and attitude of the Fox Sports brand in a fun, fan-centric package". The package features fluid graphics, signified by cascading walls inspired by "the wave". All text is framed by slanted bars, inspired by the logo. Compartamos is a Mexican microfinance company that started out as a charity, but over time developed into a corporation with different subsidiaries. Last week, it announced it would introduce a new corporate umbrella brand called Gentera. The new brand was designed by Mexican design agency Ideograma, who also reviewed the brand hierarchy. The manufactured name contains different words with positive connotations, such as gente ("people"), gen, generar, era and entera ("entire"). The symbol is combination of the logos for Gentera's three primary subsidiaries, Compartamos (microfinance), Aterna (microinsurance) and Yastás. Girls Go Games is an online gaming platform for girls from casual gaming company Spil Games. Recently, Dutch design agency Cape Rock designed a new identity for the platform. These days, much casual gaming is done on touch screens, and the logo shows three fingers. The concept was extended into a set of three cute finger mascots that appear in short film snippets. MuchMore is a Canadian television channel, launched in 1998 as a Canadian equivalent of VH1. Over time it followed its American counterpart's path of gradually replacing its music content with reality programming, series and movies. Recently, it was announced that the channel would be rebranded as M3, positioning it as "a destination channel for 30-somethings". A new logo was unveiled yesterday, when it was also confirmed that the relaunch would take place on September 30. Pandora is a popular Internet-based music service, known for providing particularly pertinent and varied playlists based on its "music genome" system. Yesterday, September 18, Pandora introduced a redesigned iOS app which came with a new logo, replacing a serif wordmark used since the service launched in 2005. This change only concerns the logo and app icons. The existing visual language, based on flickering lights against a blue background remains. Liv is a Finnish national television channel that is mostly dedicated to lifestyle programmes for women. This month, on September 3, it introduced a new visual identity, replacing the launch logo from 2009. It was developed by Dutch agency Cape Rock in collaboration with an in-house team. It introduces a versatile and flexible logo that can take on different colours, in addition to the signature green. TVN is one of Poland's leading commercial TV channel. Recently, it unveiled a new on-air look, created by German broadcast design agency Luxlotusliner. 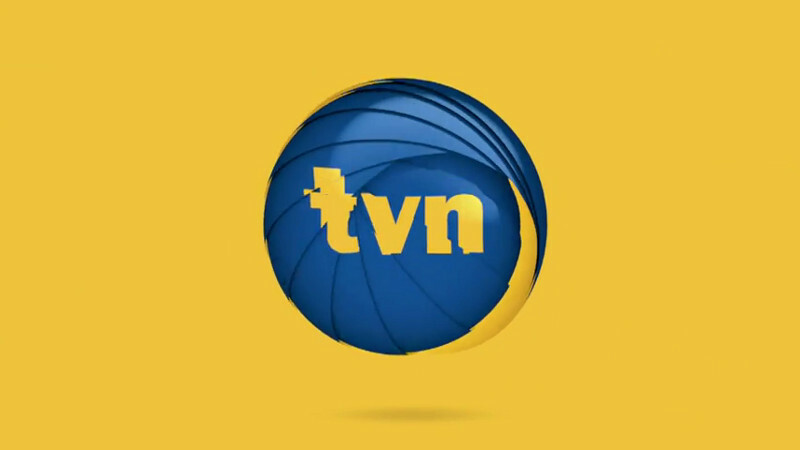 TVN has a simple logo that is well recognised throughout Poland and it on-air graphics typically revolve around it and used its colours. This update goes back to basics with minimalist graphics built around the blue circle. In idents, the circle is brought to life and given personality through computer animation. The new look was developed in Munich, Paris and Warsaw. The music was created by Novaspot in Paris. The founders of Luxlotusliner had previously worked with TVN in 2002, designing another graphics package while they were at Velvet Mediendesign. Everyone's favourite search engine Bing is getting a new look, as announced this morning. The new Bing is heralded as "Stepping Out of the Search Box", showcasing new tools that extend search functions into other applications and the real (mobile) world. A the same time, Bing is introducing a new logo to fit with the rest of the Microsoft portfolio, embracing the Segoe typeface and the "Swiss" gridded style. Bing will continue using colourful images on its homepage, but will also start using Microsoft's corporate colours. In certain situations, the symbol will be put in what is called a "Searchlight graphic" where all lines have been extended to turn the Bing symbol into "a prism of light and inspiration". Orkla is Norwegian company that owns a portfolio of consumer food and hygiene brands in the Nordic countries and adjacent regions. It started out 350 years ago as a mining company and has been a varied conglomerate that also used to include newspapers, but has streamlined its operations over time to focus on branded goods. To reflect this, the company unveiled a new logo yesterday, September 16, developed by Grid Design. The new logo launches as the Orkla name will be more prominently used inside the company, replacing a bunch of local company names. The Shopping Channel is a Canadian television channel dedicated to shopping, the leader in its field and in essence the Canadian equivalent of QVC. This month, on September 6, it was relaunched with a new look the puts emphasis on its initials, TSC. It came with an "all-new colour palette, styling, and 3D design" and overall improved graphics. The warm month of August didn't bring about to many logo changes, but there were some and they are listed below. AMAG is a Swiss car dealership that is the official importer of cars from the Volkswagen group (including Audi, Skoda and Seat). This week, on September 9, they introduced a new visual identity, created by Heads Corporate Communication in Zurich. The peculiar symbol used up until now was a heavily stylised racing car, but research had shown that most costumers were unaware of that. Heads had been working with AMAG for a few years before it was decided that the brand architecture had to be overhauled. They created a wordmark that will unite different subsidiaries, as well as a new colour palette and a custom typeface. Beach Park is a tourism complex located near Fortaleza in Brazil. It is one of the largest tourism attractions in the country and includes a beach, a water park and a resort spread across a large area. Last week, the park launched a new visual identity, created by the São Paulo office of Brandia Central. The new symbol communicates Beach Park's water-based fun with a colourful pipe that reminds one of a water slide. The colours represent the sun and the beach, water and vegetation. The typography is inspired by relaxed sand writing. WGSN is a trend forecaster that offers anayltics tools to the fashion retail industry. Last week, they unveiled some new products and also launched a new visual identity, created by venturethree. Is is said to be "centered on the idea of Now. New. Next". Kanal 5 is one of Denmark's most watched television channels and the flagship channel of broadcaster SBS, which is now owned by Discovery Communications. In August, the channel launched a new logo, a straight-forward numeral in a red square. Milk is a new London-based visual effects studio, founded a few months ago by people formerly employed by The Mill with experience from several major films and TV series on their CVs. The visual identity launched this week and was developed by SomeOne, who were involved in all aspects of the creation of the identity and its launch. The new identity was inspired by the fact that creating special effects is a task that evolves during the project, with new ideas or directors being introduced. This is expressed in the form of a series of "squiggly tubes", referencing both pipes through which you'd pump milk and the smooth and a constantly altering workflow. 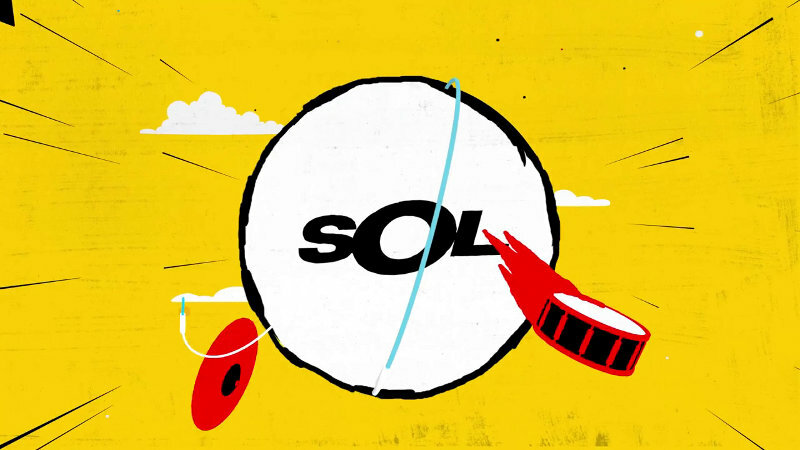 Sol Música is a Spanish music channel, owned by Chello Multicanal who operate a large portfolio of thematic TV channels in Spain and Portugal. It is the only channel in the region dedicated exclusively to Spanish music. In June, the channel launched a new look, created by Argentinian design agency Lumbre. Lumbre designed an extensive graphics package for the channel and multiple programmes, signified by the use of eclectic colourful animation throughout. And everything was apparently done through traditional animation, hand drawn frame by frame! Frödinge is a Swedish company that makes cakes and desserts, some of which are sold in other European countries like Germany. This week it has introduced a new logo, meant communicate its roots in the province of Småland, tradition and the feeling of a pastry bakery. It was created by Silver in Stockholm. The Republic of Costa Rica has a new logo which will be used in many aspects of promotion for the Central American nation, including tourism and exports. The new brand "Essential Costa Rica" was unveiled by representatives from government, tourism and trade on Tuesday, September 3. Costa Rican press is reporting that the brand was developed by FutureBrand, but I haven't been able to confirm that. This replaces a destination brand and extends Costa Rica's marketing efforts to also portray it as a great place to do business. A few hours ago, the Internet media company Yahoo! unveiled a new logo. And unlike other new logos unveiled by Yahoo over the past month, this one will be permanent. It was designed by an in-house team consisting of SVP brand creative Bob Stohrer, VP creative director Marc DeBartolomeis, Russ Khaydarov and intern Max Ma. Yahoo CEO Marissa Mayer was reportedly also involved in the process. Ahead of today's reveal Yahoo has posted a new logo every day for 30 days. Each logo was an alteration of the regular Yahoo logo with a different typeface, but keeping the different-sized letters and purple colour. It turns out the actual new logo wasn't that different. The new typeface is a more sober Optima-like semi-serif in a slightly darker shade of purple with a subtle bevel. In a Tumblr post CMO Kathy Savitt explains that they "wanted a logo that stayed true to our roots (whimsical, purple, with an exclamation point) yet embraced the evolution of our products". They also wanted to avoid straight lines and preserve valuable elements from the old wordmark. Employees were polled on the changes. Seta is the largest and most influential LGBT rights organisation in Finland, founded in 1974. Its name is an abbreviation of Seksuaalinen tasavertaisuus, which means "sexual equality". On August 30, the organisation unveiled a new visual identity, developed by designer Tomi Tallqvist and Musta Design in Helsinki. Formed in 1876 as the 38th state of the United States of America, Colorado lies as a beautiful mountainous rectangle in the middle of the nation. Last week, on August 29, the state unveiled a new logo that will be used by state agencies and to market the state. The effort was headed by state marketing director Aaron Kennedy, working with several local agencies. The logo is a green triangular mountain with the official abbreviation CO, inspired by the state's license plates. Early reactions has mostly been inane ridicule. A more interesting point of criticism has been that the logo doesn't make use of the visual equity in Colorado's distinct flag. Germany gets another free-to-air TV channel tomorrow with the launch of ProSieben Maxx. With programming for an upscale male-leaning audience it will complement Sixx and Sat.1 Gold, two other new channels from the same broadcaster that target women. Primetime schedules will be dominated by acclaimed imported series such as Homeland, House of Cards and Fringe, documentaries from the BBC and National Geographic, and movies, while the daytime is dedicated to action cartoons. The logo for the new channel was unveiled in late June. On-air graphics were developed in-house at ProSiebenSat.1 in cooperation with Augsburg-based designer Sebastian Onufszak.